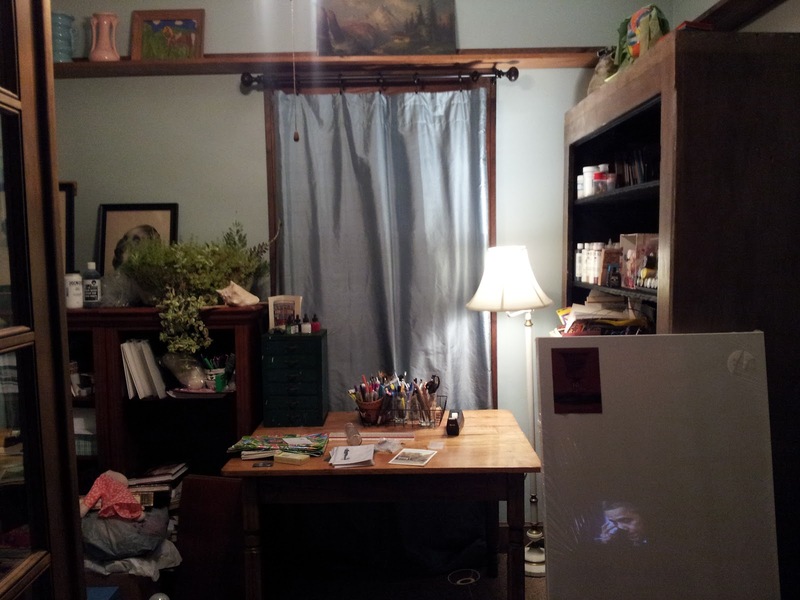 I have a little room off the living room that will be my art studio. It has French doors so I can close it off it need be. This might look like a mess to most, but to me, this looks like progress! Just a couple of hours ago, I couldn't even get the table in that room. I have a large easel that I want to put in there too. If it fits, it will be behind that door to the left. Little by little, I'm getting there. It looks beautiful to me! I can just see you in there creating!